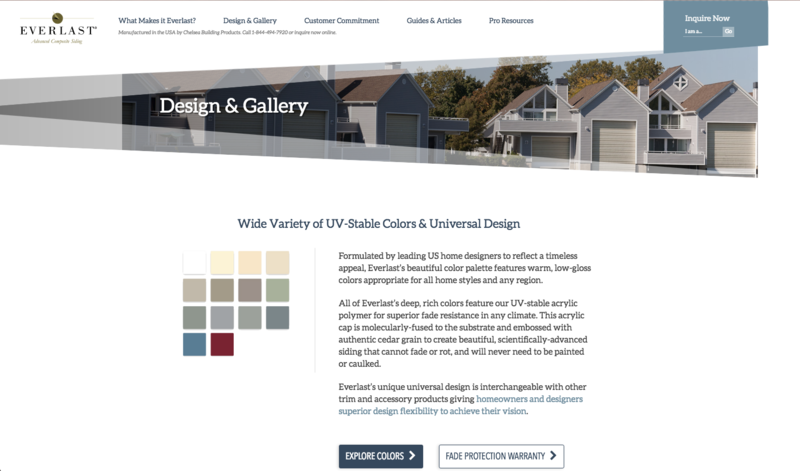 OAKMONT, PA (March 23, 2017) – Chelsea Building Products announces the launch of the new Everlast® website: www.everlastsiding.com. 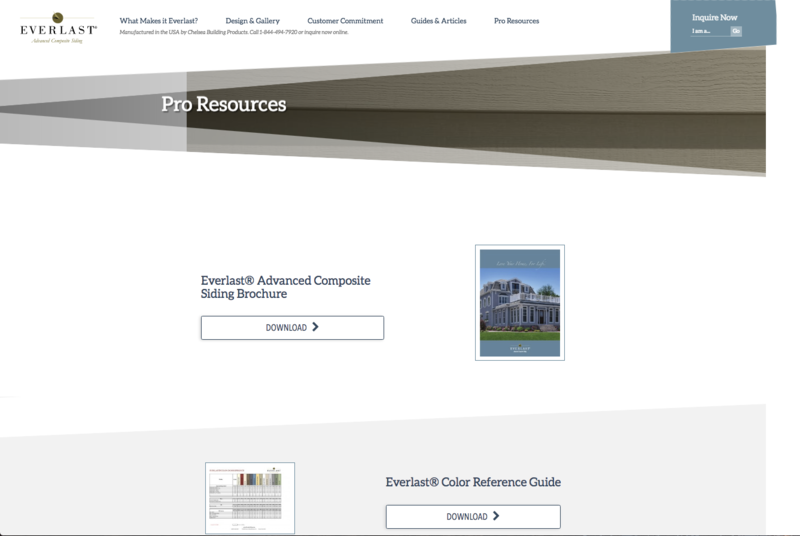 The site is a comprehensive resource for Everlast® Advanced Composite siding – from its product benefits to its specification and installation details. · Builders and contractorscan find design ideas, product details, installation guides, warranty information, safety data sheets, and tools to help them sell Everlast® to homeowners. 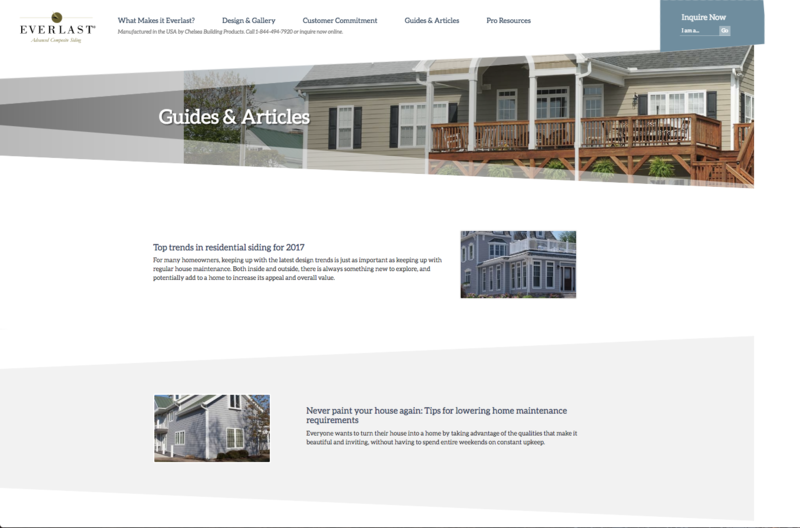 · Architectscan find inspiration galleries, specifications, design guides, brochures, and tools to help them sell Everlast® to homeowners and builders/contractors. 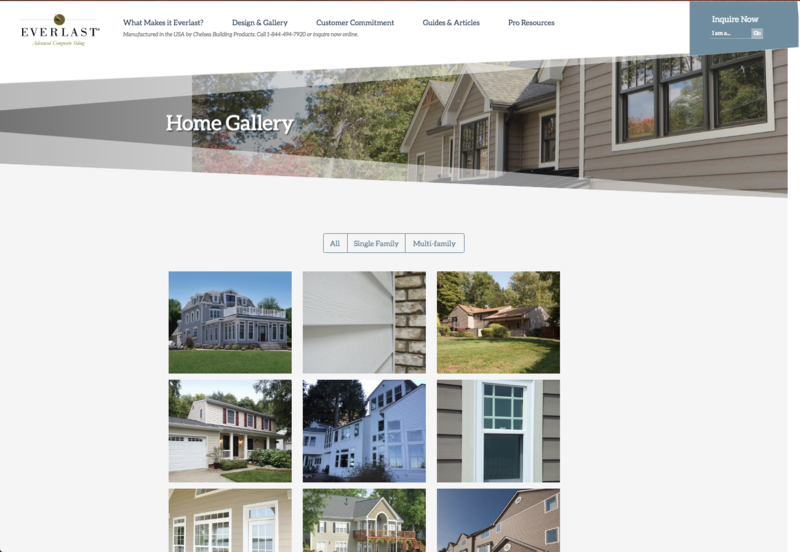 · Homeownerscan find home photo galleries, helpful information about the siding market, color and design options, and brochures. · Distributorscan find all the marketing information and tools necessary to sell Everlast® to their clients. Inquiries for any of the information above can be made with the click of a button on the new site. Visitors can quickly and easily access and download the information they need using the site’s sleek and intuitive menu format. 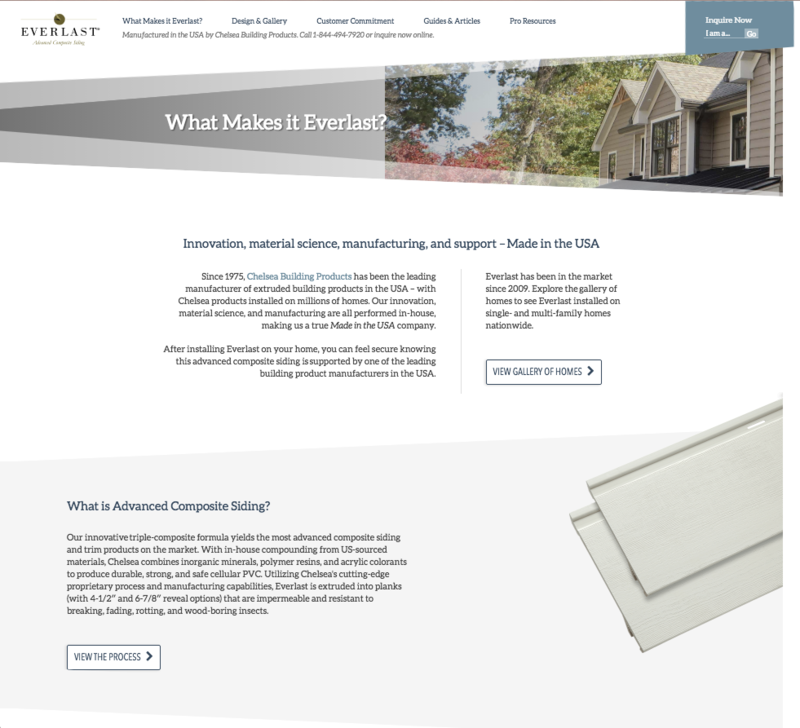 In addition, visitors can learn more about the manufacturing process for Everlast®, providing detailed insight on how the product outperforms other types of siding. Everlast® Advanced Composite Siding is produced from a proprietary composition of inorganic minerals, polymeric resins, and acrylic colorants. This triple-composite formula yields the most advanced composite siding and trim on the market, providing strength, durability and ease of installation without sacrificing performance or attractive curb appeal. Everlast® is light, easy to cut, and easy to install. The siding is available with Everlast® color-matched trim made from the same material as the siding, or with white cellular PVC trim to complement any color. 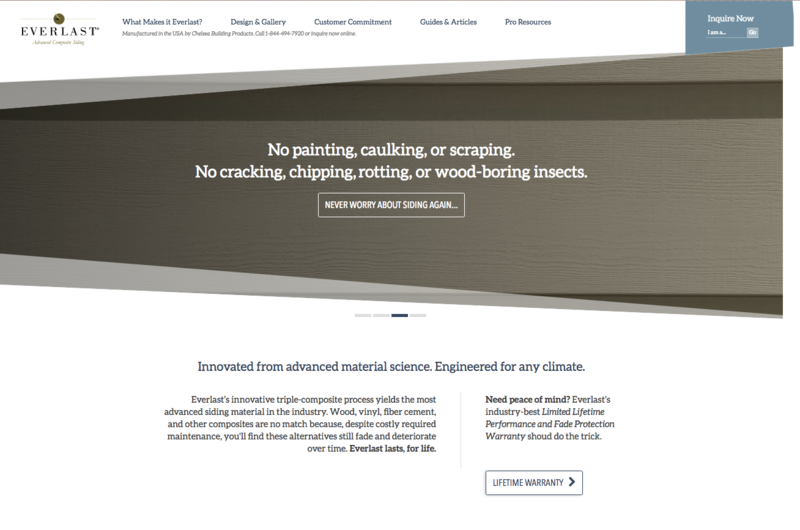 For more information, visit www.everlastsiding.com. The new Everlast® website can be viewed on any desktop or mobile device.